How Buying Heavy Equipment Used Can Help Your Company | Wilson Auction & Realty Co, Ltd.
Are you looking to invest in a bunch of heavy equipment for your business? Rather than running out and buying new equipment, you should consider buying used heavy equipment instead. It will cut down on your costs while still providing you with the equipment you need. 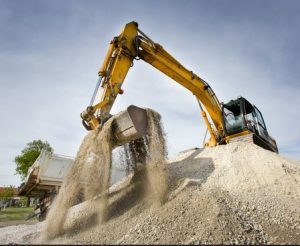 Here are a few of other advantages you’ll enjoy when you purchase used heavy equipment. You can avoid the initial depreciation of the equipment. New heavy equipment is a lot like new cars. The second you agree to buy it and drive it off the lot, it will automatically go down in value. It will then continue to go down in value for about the first year or two before it plateaus. You can steer clear of this kind of depreciation by going with used heavy equipment instead. Your equipment will be worth about what you paid for it when you take ownership of it. You can keep the value of your equipment steady by maintaining it. In addition to avoiding depreciation when you buy used heavy equipment as opposed to new, you will also be able to keep the value of your equipment steady once you buy it. As long as you maintain your equipment and use it properly, it shouldn’t go down in value suddenly at any point. This will encourage you to get it maintained while also protecting your initial investment. You can get a great return on your investment later if you want. There are some construction companies that will buy a piece of used heavy equipment to complete a project, use it for a few months, and then turn around and sell it for almost the same price they bought it for. This prevents them from having to rent heavy equipment while still giving them access to the equipment they need. It’s a benefit they couldn’t enjoy if they tried to do the same thing with new heavy equipment. If you’re in the market for heavy equipment at the moment, Wilson Auction & Realty Company routinely holds heavy equipment auctions. Call us at 419-636-5500 to find out the next time we’ll be auctioning off used heavy equipment. We can also assist those looking to put their heavy equipment up on the auction block.